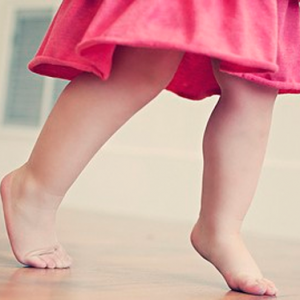 Your toddler is walking on their toes – should you be worried? Home/Orthopaedic conditions/Your toddler is walking on their toes – should you be worried? Some children will walk on their toes some of the time… But what if your child walks on their toes most of the time? Or all the time? When should you be worried about your child walking on their toes? A child occasionally walking on the balls of their feet can be part of normal development. When children first begin walking, usually between 12-15 months of age, they often try different foot positions including walking up on their toes. However, it is expected that typically developing children will only walk on their toes occasionally. If your child is walking on their toes more than 50% of the time, or is walking on their toes ALL the time, then you should probably have them assessed by a health professional. What can cause persistent toe walking? Certain underlying health, medical or developmental conditions can cause a child to walk on their toes. These conditions include cerebral palsy, muscular dystrophy, and autism spectrum disorder. These conditions are sometimes diagnosed before the child starts walking. But sometimes the child’s toe walking is the first sign of this medical or developmental condition. If your child is toe walking, it is important that they are screened for these conditions. Sometimes children with no known health, medical or developmental conditions will also walk on their toes. These children seem to walk on their toes for no known reason, or out of habit. This type of toe walking is called idiopathic toe walking. Most children with idiopathic toe walking are able to stand flat footed, and are often able to walk flat footed if you ask them to (we call this their ‘Doctor walk’). But when they are not concentrating on their walking, they quickly revert back to walking on their toes. Some may walk better when they are in shoes, but when they have bare feet they revert back to their usual toe walking pattern. Why is it important to address idiopathic toe walking early? Between the ages of 12-18 months, most typically developing children will learn to walk independently. Your child learns to master walking by repeatedly practicing walking, refining and maturing their walking pattern over time. At a neurological level, as children are mastering walking, their brains are creating and refining pathways and connections in the brain. These pathways are laid down in response to what the child is experiencing and practicing. So if your child is learning to consistently walk on their toes, this will reinforce the sensory and motor connections that they are creating at a neurological level. For your child with idiopathic toe walking – walking on their toes becomes normal for them. Consider this in reverse: I am assuming you walk using a typical heel-toe pattern. You have walked like this your entire life. What if someone suddenly asked you to walk on your toes? You are able to do this when asked. But what if they told you that you have to walk like this all the time now? Can you imagine how hard it would be to do this? For children with idiopathic toe walking, walking on flat feet does not feel normal. And because of the changes at a neurological level, changing that habit of walking on their toes takes a lot of work if it is not addressed early, before the habits are ingrained into their brain as their normal way of moving. What will happen if I don’t do anything about my child’s toe walking? The answer to this question, according to the current research is “we don’t know”. Unfortunately, idiopathic toe walking has not been very well researched to date (although there is research into idiopathic toe walking currently being conducted by health professionals here in Australia). Usually, adults who continue to toe walk do not walk high up on the balls of their feet like children do. Instead, they tend to walk using a bouncing type pattern (see this excerpt from the Graham Norton Show in which actor Jamie Dornan talks about and shows his toe walking: https://youtu.be/JQCXRnqA_F8). Depending on the person, this may or may not be a cosmetic problem for them. Contracture of the Achilles Tendon – this is when the Achilles tendon gets so tight that the child can no longer get their heels to the ground. Having a tight Achilles Tendon is problematic in growing legs. When children grow, their bones grow first, and then their muscles slowly stretch and lengthen to match. But if the calf muscle and Achilles Tendon is already tight, it pulls strongly on the growing bone, which can cause pain in the muscle and tendon. This can also mean that the muscle tightness gets worse – which means the toe walking gets worse. Pain in the feet – this can be due to the feet over stretching as a result of trying to get the heel to the ground or taking excess weight through the ball of the foot. Normally when walking, we land with our heel first. The heel takes our body weight as we initially load our leg, and then we rock our body weight forwards over the whole of our foot. Children (and adults) who walk on the balls of their feet take all of their weight over the ball of the foot, which contains much smaller bones and many more ligaments. 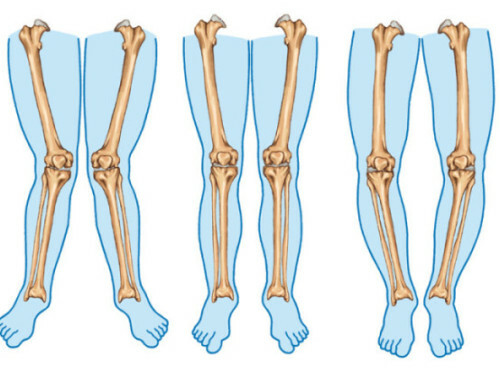 These bones are not designed to take all of our body weight and the ligaments can over stretch in an attempt to get more of the foot in contact with the ground for balance. Low back pain – this is in compensation for their body weight being forwards when standing and walking on their toes. Difficulty walking up hills – due to the tight calf muscles and Achilles Tendons. In severe cases, children may have difficulty standing still and going up and down stairs because the do not have the balance when they are so high up on the balls of their feet. If your child frequently or persistently walks on their toes, I recommend you to have them seen by a GP, paediatrician, physiotherapist, or podiatrist to screen them for any underlying medical or developmental conditions. I also recommend having your child assessed by a physiotherapist experienced in idiopathic toe walking, and having this assessment done sooner rather than later. You can expect most success for your child’s idiopathic toe walking if it is treated before the age of 2. It is easier to change your child’s walking pattern at this age, before your child’s neurological pathways for walking on their toes can become well established. What can I expect at my child’s appointment? At Move and Play Paediatric Therapy, our physiotherapists will assess your child to identify the underlying reasons for their toe walking. From this we will develop an individualised treatment program to address these problems. We use a variety of treatment techniques to encourage children to walk using a heel-toe pattern. Treatments include exercises and stretches, taping, serial casting, and a few different types of braces. Treatment programs can last from between 4 weeks to many years. The length of your child’s treatment program depends upon how old your child and how severe their toe walking is when treatment starts. If your child’s calf and Achilles Tendon is very tight and they cannot get their heels to the ground and it does not respond to stretches and serial casting, we may discuss with you the option of your child seeing an orthopaedic surgeon for consideration of Botox injections or surgery. Our overall aim will be for your child to stop toe walking, and to instead use a heel-toe pattern. But the earlier you seek treatment, then the easier it is to fix your child’s toe walking. If you are concerned about your child’s walking pattern or toe walking, please call our clinic on 0420307385 to book in with one of our physiotherapists for an assessment (Or contact us here).